RED!! Did you know that red is one of the 2 top favorite colors of all people? It is the color of good luck and the most popular flag color in the world! 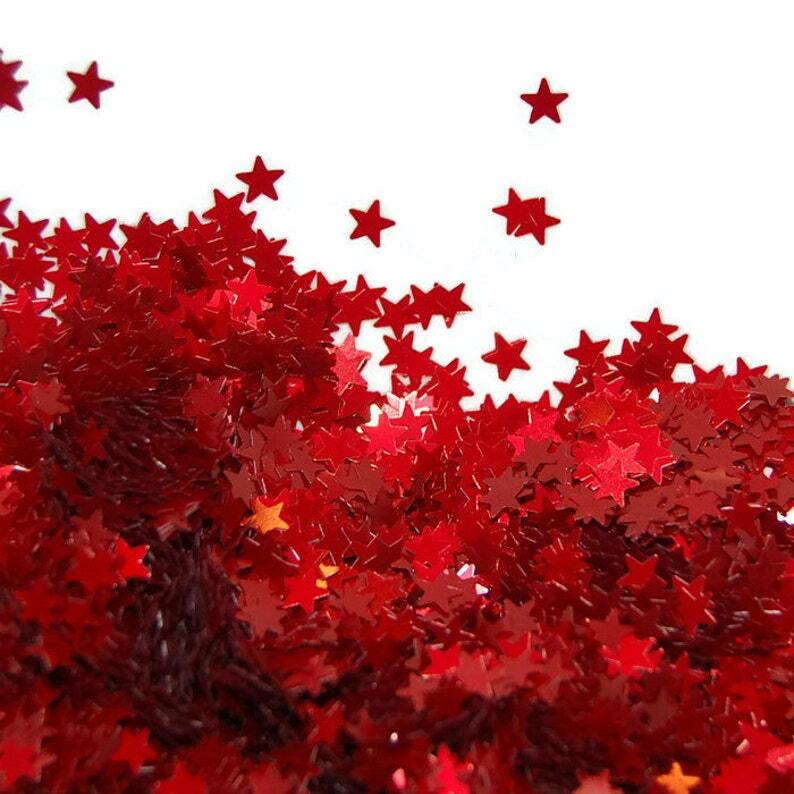 These beautiful Red Stars are so delightful, you just have to have some! Perfect red star glitter! Not my first purchase from this vendor, won't be my last...my favorite glitter supplier!